April 18, 2017: The LOOK Bill — H.3705/S.2070 An Act for language opportunity for our kids — was reported out favorably by the Joint Committee on Education and and referred to the House & Senate Committees on Ways and Means. The LOOK Bill removes the restrictive mandate requiring Sheltered English Immersion (SEI) as the “one size fits all” default English Language Learner (ELL) program model, and gives school districts the flexibility to establish programs based on the educational needs of their students. It also establishes a state Seal of Biliteracy. Today the Massachusetts Senate passed S.2395 An Act for language opportunity for our kids – the “LOOK bill” – by a unanimous vote. We thank our Senators for supporting the educational needs of English learners in Massachusetts, and especially Sen. Sal DiDomenico, the bill sponsor; Sen. Sonia Chang-Diaz, c0-chair of the Joint Committee on Education; and Sen. Karen Spilka for their leadership and dedication on this issue. The bill is still under consideration by the House. 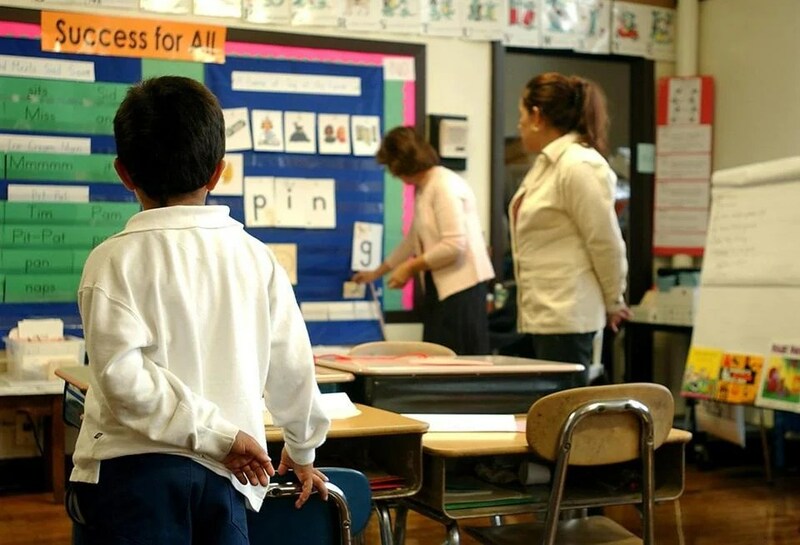 Boston’s failings highlight flaws in state’s English immersion law, by Patrick Proctor and Mariela Páez, Lynch School of Education at Boston College.